Disneyland has made some clarifications and announcements with regards to the operational plans for the park when Star Wars: Galaxy’s Edge opens on May 31st. These plans apply to the period of time between May 31 – June 23, when guests are required to have a no-cost reservation. While Disneyland is surely happy to have you visit for the most highly anticipated land opening in the history of the parks, you can’t stay all day. If you’re lucky enough to get into the land, Disneyland will restrict the amount of time you’re allowed to spend in the land with your reservation. Disneyland Vice President Kris Theiler said that guests will be able to enjoy a “window” of time, with both a start time and an end time. Disneyland Vice President Kris Theiler said this about the prospect of getting into Star Wars: Galaxy’s Edge without a free reservation. Every registered guest staying at the Disneyland Hotel, Disney’s Grand Californian, or Disney’s Paradise Pier will receive one reservation into the new land. Guests who aren’t staying at one of those hotels will need to make a free reservation ahead of time. No details have been released as to when guests can register. While the above policies are meant to make crowds more manageable, there will still be an hours-long wait to pilot the Millennium Falcon when the land opens. For some guests, the prospect of having no bathroom available to them in the queue after they just loaded up on blue milk could be a daunting task. Thankfully, Disneyland will have a new policy in place – the bathroom pass. The policy at Disney will mirror the policy that has been in place since 2017 in Pandora – The World of Avatar. 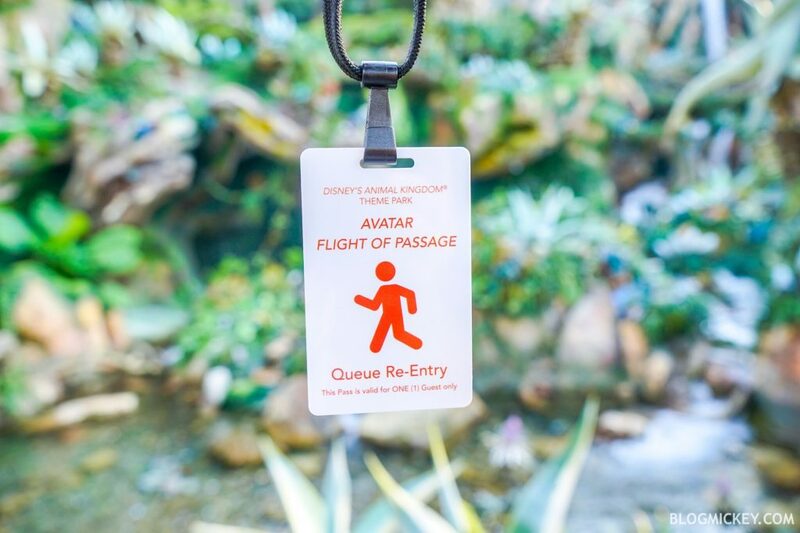 Guests who have visited Pandora since the land opened have likely experienced at least a two hour wait for Flight of Passage, if not longer. Disney implemented the bathroom pass in mid-to-late 2017, a few months after the new land opened for the headliner attraction according to multiple Cast Members we spoke with who have worked at the land since opening. Guests who need to use the restroom must have one person in their party stay in line and continue to move through the line as they normally would. Then, the guest in question can move forward or backward through the queue to find a Cast Member who will produce the Bathroom Pass. Upon relief, you’ll refuting the FastPass entrance where you’ll have produce the Bathroom Pass. You will walk through the FastPass line until you reach a merge point. It’s at the merge point that you’ll wait in the Bathroom Pass waiting area until the other members of your party catch up with you and continue through the queue. It’s important to note that these operational policies are for Disneyland. Walt Disney World will not have a reservation system, so guests will be able to walk into the land or queue up to enter the land should the land reach capacity when it opens August 29th. The bathroom pass will very likely be implemented in Walt Disney World as well. Yup that’s 100 bucks for one ride enjoy. What a joke Disneyland. Wow! Disneyland just got a whole lot more fun. Now I can get on two rides instead of one in a day. And for only $199.00 a day!